Fracking has unlocked new oil supplies in states like North Dakota, reducing crude imports. Forty years after the 1973 Middle East oil embargo ushered in an era of energy scarcity, the U.S. is in the midst of a power revolution, driven largely by new technology. Hydraulic fracturing and horizontal drilling have allowed energy companies to unlock vast new supplies of oil and natural gas. Wind and solar have gone from green dreams to economic realities, while utilities are remaking the rickety power grid into something smarter and far less wasteful. The benefits are abundant. By displacing dirtier coal, cheap natural gas has helped reduce U.S. greenhouse-gas emissions even as it has boosted U.S. manufacturers that rely on gas as a feedstock. 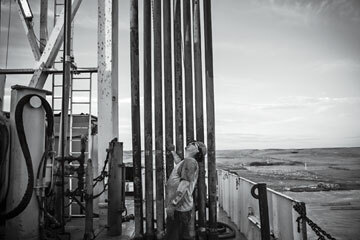 Falling oil imports means that billions of dollars that once went abroad are now staying in the U.S., providing capital for other investments. But there's already been an environmental backlash against the fevered exploitation of unconventional oil and gas. Success could be even scarier: if new technologies can ensure that fossil fuels remain relatively cheap for decades ahead, it will be that much more difficult to wean the world off carbon in time to avert dangerous climate change. The American energy revolution is real  but it may be too much of a good thing.